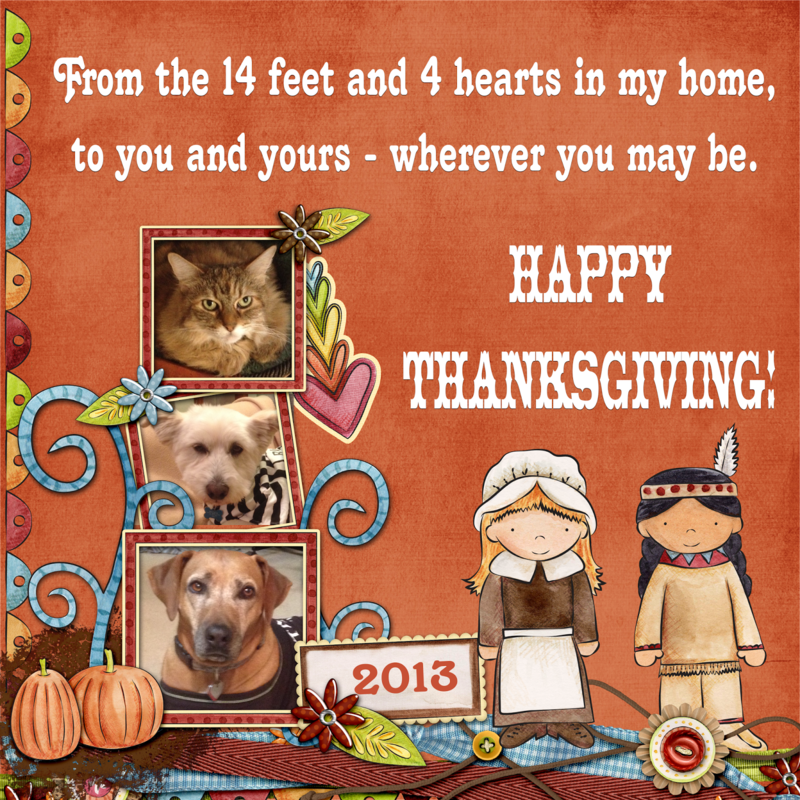 Living in Grace: 11/28/13-Happy Thanksgiving! Adorable family you have there! Happy Thanksgiving!!! that is so cute. I hope you had a wonderful Thanksgiving. I did Ann, thank you! I hope you and yours did too. HugZ! this is beautiful and I am glad to see your fur babies again. they look wonderful . Thank you, Sandra. They are such wonderful creatures of love! And I'm thrilled that the MadSnapper likes my photo art. Some day I am going to have to learn PhotoShop but ACDSee Photo Editor meets my needs for now. I enjoy playing around with it. HugZ to you and yours! In the nextL'Reve 24k method, businesses use their large network of YouTube clients to view your video, thereby maximizing the amount of hits and making your video much more popular. Hey how are you doing? I just wanted to stop by and say that its been a pleasure reading your blog.